Designed and built to meet the demands of industrial and other larger volume applications. 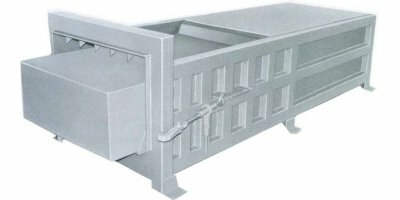 High density can be achieved with the optional twin-cylinder models with forces in excess of 100,000 lbs. Extra heavy duty frame and ram--heavy structural plate with ship and car channel construction. 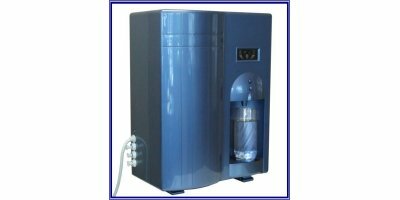 Get unlimited, ultra-fresh, delicious drinking water right at home or office for drinking, cooking, ice & coffee making, baby-formula, pets and plants! Reverse osmosis purifies tap water up to 99% free of unwanted substances. Available in 3 sizes, the Recycling Waste Baskets are ideal for deskside recycling. They fit perfectly against a desk and can be used for collecting waste or recycling. Available in a wide variety of colors. These bins have a unique plastic corrugated lid, for long life, even with liquid spillage from bottle and cans. Each bin comes with five pictogram stickers (General Waste, Mixed Recycling, Plastic Bottles, Cans and Paper) for complete flexibility. H 70cm W 28cm D 40cm - 60 Ltrs. By Hänel GmbH & Co. KG based in Bad Friedrichshall, GERMANY. By North Port Valves based in Stoney Creek, ONTARIO (CANADA). At Casepak we supply a wide variety of standard and bespoke recycling equipment which is available on a rental, lease purchase or purchase basis. This can be supplied as part of a Casepak waste management programme, with service and maintenance undertaken to an agreed schedule. By Casepak based in Enderby, UNITED KINGDOM. Electronic Recycling handles all types of Electronic Equipment, Office, Commercial and Domestic, listed in The EU, Waste from Electrical and Electronic Equipment (WEEE) Directive. By Electronic Recycling based in Finglas, IRELAND. Transition technology allows you to add or remove streams in a snap! Our innovative top plates snap in place with no tools required. So you have peace of mind that your bin will change as your recycling program changes.